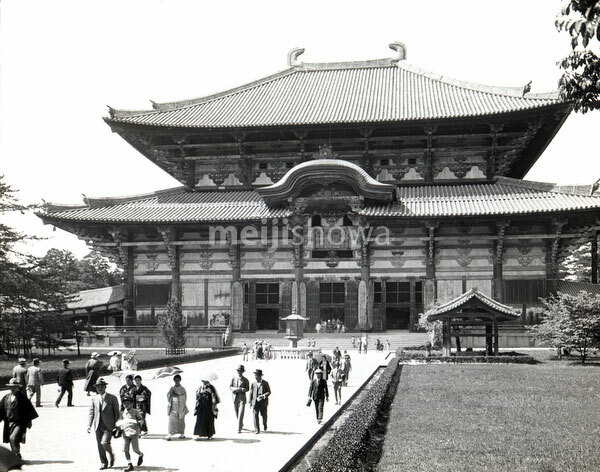 The Daibutsuden (Great Buddha Hall) of Todaiji, a Buddhist temple in Nara, photographed in May 1934. The hall is the world’s largest wooden building and houses the world’s largest bronze statue of the Buddha Vairocana. The statue is popularly known as Daibutsu (Great Buddha).